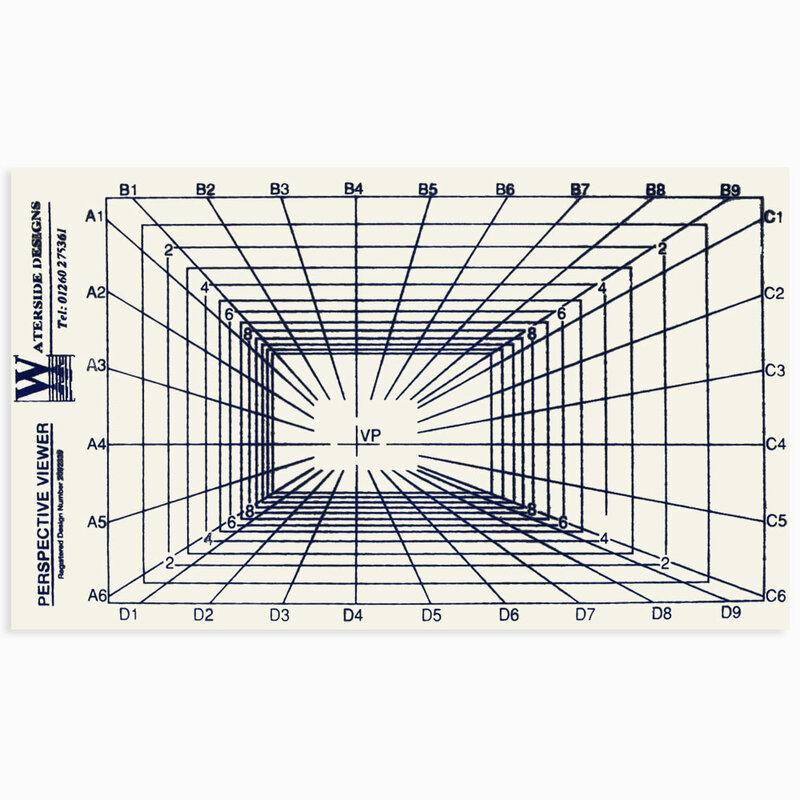 The Perspective Viewer is a template with perspective tiles which diminish in size as they converge at the vanishing point in the infinite distance. 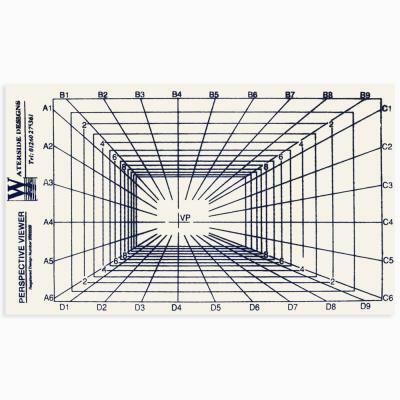 Its uses include locating the vanishing points in a scene to improve perspective drawing. In clear flexible plastic. Complete with instruction sheet.